As populations in Abbotsford are on the rise, it is necessary to get creative with housing options. Instead of stand-alone houses, more and more individuals are opting for co-op housing options, strata properties and multi-unit living situations. These types of living arrangements are great until it comes down to general maintenance! Don’t let important tasks slip through the cracks when you can just call a Gorilla for your Abbotsford dryer vent cleaning. The dryers around high-traffic properties see more clothing turnover than a retail store. These machines are always going and with that – they are always collecting debris. An average household dryer vent can go long periods without collecting too much unwanted material, but strata properties catch and hold these materials. By calling your friendly neighbourhood Gorillas at least once annually, you can keep your system running smoothly. A clogged dryer vent might not seem like the end of the world, but it can create more issues than meets the eye. Fire hazards are well-known in regard to lint traps, but this threat increases as vents become clogged. Coated pipes also limits the amount of air that can pass through. This leaves clothes damp and forces you to run through cycles over and over. 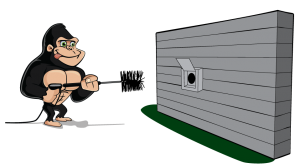 Save yourself the trouble and cost of repeat performances by calling a Gorilla for your Abbotsford dryer vent cleaning. 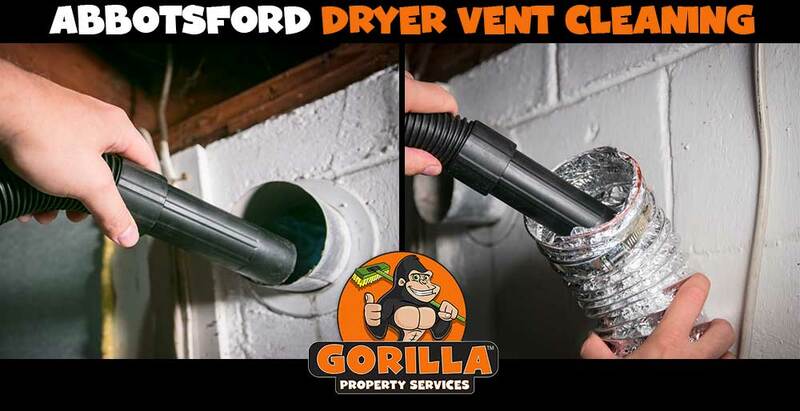 When you choose a Gorilla for your vent cleaning services you are getting a full-service clean without any of the struggle of handling it yourself. Debris does not just stick to the reachable areas of your vents, but can travel all the way through your system, leaving deposits anywhere and everywhere. This wide range of access for debris means that you need more than a cloth or broom to clean out vents completely. Calling in a professional service removes build up completely, ditching health hazards, allergens and giving new life to your appliance.